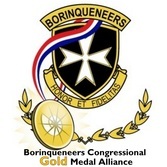 See the FAQ from Borinqueneers Congressional Gold Medal Alliance on this page! To view the Executive Summary on our historic cause, click the button below! ﻿NOTE DISCLAIMER:﻿ The below information will be periodically updated. Please check again for any updates. 1) Is the Congressional Gold Medal the same as the Congressional Medal of Honor? No, the Congressional Gold Medal is the nation’s highest CIVILIAN award. It is equivalent to the Presidential Medal of Freedom. The Congressional Medal of Honor is the nation’s highest MILITARY decoration. 2) What are the legislative requirements for the Congressional Gold Medal? 3) Will all 65th Infantry Regiment veterans receive a Congressional Gold Medal? 4) Where can I request my family member’s military records? If you need assistance in requesting or reviewing a veteran's military records, please contact us. 5) How do I know if my family member was part of the 65th Infantry Regiment? There is no official way to determine if your family member was part of the 65th Infantry Regiment. The only way to verify is through one or more of the following methods: a DD 214 Form (Military Service Discharge Form), official VA records, official military documents/memos, official certificates, photographs, personal letters, awards, plaques or any other artifact which reflects your family member’s service with the 65th Infantry Regiment. NOTE: A DD 214 Form (Military Service Discharge Form) does not always reflect a veterans service with the 65th Infantry Regiment. If you need assistance in requesting or reviewing your family member's military records, please contact us. If when you receive the records from the National Archives Center, you still do not see any records indicating that your family member was part of the 65th Infantry Regiment OR did not receive any military records whatsoever, we can refer you to an independent research to conduct a comprehensive search for specific unit records from the 65th Infantry Regiment such as morning reports, promotional lists, battle rosters, etc..You will have to coordinate and hire this service with the the independent researcher and the researcher will then charge you a cost for their services. 6) Who is eligible for the 65th Infantry Regiment Congressional Gold Medal? Just Korean War veterans? THERE IS NO ELIGIBILITY OR QUALIFICATION REQUIREMENT FOR THE 65TH INFANTRY CGM!!! THIS IS A COLLECTIVE RECOGNITION. THE CONGRESSIONAL GOLD MEDAL WAS AWARDED TO THE 65TH INFANTRY REGIMENT, NOT ANY INDIVIDUAL IN PARTICULAR. The Congressional Gold Medal is not an individual award. It is not a military award. It is a COLLECTIVE congressional recognition. The actual fabricated Gold Medal can be viewed as an extension and embodiment of the actual 65th Infantry Regiment Public Law 113-120. The best analogy to portray the 65th Infantry CGM recognition is the following: Think of a Beauty Pageant. You have a lady winning the Miss Universe title. She gets to wear the crown. The lady now has the "Miss Universe" title. Using this same analogy, think of the 65th Infantry Regiment and the CGM as follows: The 65th Infantry Regiment was awarded the CGM title. The crown they get to "wear" (metaphorically) is the fabricated Congressional Gold Medal. The 65th Infantry Regiment now has the title of the "Congressional Gold Medal". 7) My family member was a member of the 65th Infantry Regiment and has passed away. Is he eligible for the 65th Infantry Regiment Congressional Gold Medal? 8) How can I get my family member who was part of the 65th Infantry Regiment recorded in your Living Borinqueneers Registry? If your family member is still living and claims he served with the 65th Infantry Regiment, please visit our Living Borinqueneer Census page (www.65thCGM.org/census) for more information. 9) Is there a roster of all 65th Infantry Regiment veterans that I can take a look at? NO. To the best of our knowledge, no official, formal, comprehensive list of 65th Infantry Regiment veterans currently exists. Several groups and organizations may have their own generated lists, but no single 65th Infantry Regiment roster list endorsed by the Dept. of Defense or the US Government exists. Robust records documentation technology did not exist back during the military tenure of the 65th Infantry Reg. to capture such information. 10) My family member was a member of the 65th Infantry Regiment and has passed away. Do I need to send his information for your census? 11) How will I know when the 65th Infantry CGM is fabricated and when it will be presented? - The Borinqueneers Congressional Gold Medal was formally unveiled on April 13, 2016 at the Capitol Visitor's Center, Washinton D.C.
- A separate Borinqueneers Congressional Gold Medal ceremony was conducted on April 27, 2016 at El Castillo San Felipe El Morro, San Juan, Puerto Rico for those 65th Infantry veterans and family members who could not attend the D.C. ceremony Borinqueneers CGM unveiling ceremony on April 13, 2016. 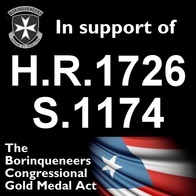 - On June 10, 2014, President Obama approved the Borinqueneers Congressional Gold Medal legislation, H.R. 1726 into Public Law 113-120. - On January 27th, 2015 in Washington D.C. the US Mint, the Citizens Coinage Advisory Committee (CCAC), various 65th Infantry community stakeholders and the general public at large convened and began a discussion on the 65th Infantry CGM design with various 65th Infantry community stakeholders and the general public at large. - On June 16, 2015, the US Mint and the Citizens Coinage Advisory Committee (CCAC) convened to unveil the candidate CGM designs. Unfortunately, without sufficient and adequate Borinqueneer veterans and stakeholder involvement, the CCAC selected the following front and back designs for Secretary of the Treasury approval. 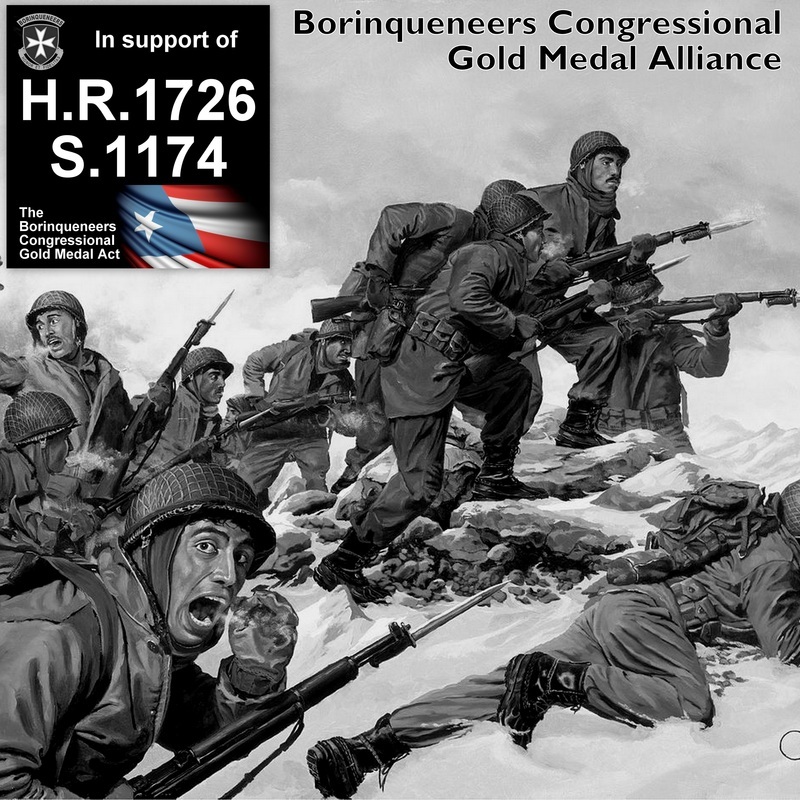 - On August 10, 2015 the Department of the Treasury approved the design for the Borinqueneers Congressional Gold Medal. The CGM bronze replicas symbolically embody the actual Gold Medal and serve as a memento of the recognition. We will conduct our full diligence in contacting the general public about this historic event and other Borinqueneer related activities and especially those LIVING Borinqueneer veterans and their family members. 12) My family member is a LIVING 65th Infantry Regiment and did not attend either the April 13th or the April 27th Borinqueneers CGM ceremonies, how can he receive a complimentary CGM BRONZE replica? **If the 65th Infantry veteran lives in the continental U.S. and you have any questions about the Borinqueneers Congressional Gold Medal, please contact the Veteran's congressional representative's office. 13) Does the government pay for the CGM Bronze replicas for the living veterans of the 65th Infantry? NO, THE US GOVERNMENT WILL NOT BUY CGM BRONZE REPLICAS. THE CGM BRONZE REPLICAS ARE SOLD ONLY TO THE PUBLIC. THE REVENUES GENERATED FROM THE SALE OF THE CGM BRONZE REPLICAS ARE USED TO OFFSET THE GOVERNMENT COSTS OF MINTING THE ACTUAL CONGRESSIONAL GOLD MEDAL. Usually, CGM recognitions are awarded to only individuals. Very rarely are CGMs awarded to groups. Therefore, and traditionally, CGM Bronze replicas are NOT purchased in volume as in the case for group recipients, like the 65th Infantry Regiment. The CGM bronze replica is NOT meant to be an individual award for a veteran. No veteran is technically "entitled" to a bronze replica. The gold medal bronze replica's purpose is to serve as a memento or souvenir of the actual fabricated Gold Medal. The general public can purchase the Gold Medal replica. 14) How can I help with the 65th Infantry CGM cause? If you think you can add value to this historic cause with your skills and talents, please considering joining our national executive committee. All it takes is pure will, desire and dedication. If interested, please email 65thCGM@gmail.com for more information. Subscribe to our newsletter to receive the latest updates, news, information on the 65th Infantry Regiment and its Veterans around the nation. Click pic to HELP the cause!